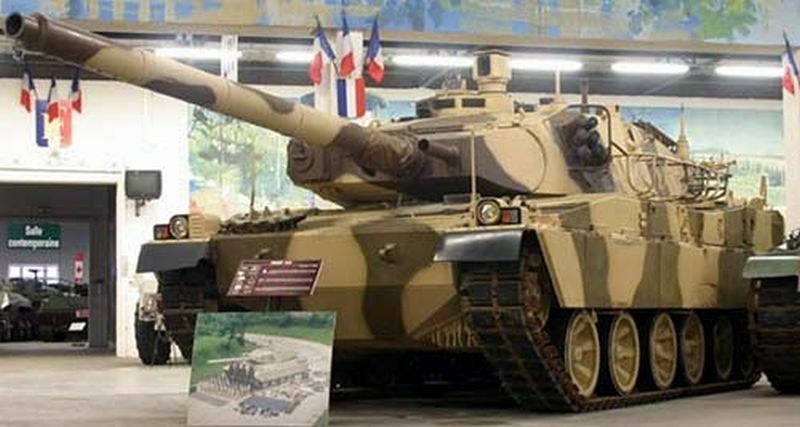 Given tank French designers have developed as an export version of AMX-30. Tank gets a title AMX-40. The new solution is designed based on the AMX-30, has retained much of modular components and equipment. In 1983, the first standard export version presented at the Salon of weapons in Satori. By the end of 1986 models have been tested at the sites in Qatar and Abu Dhabi. In the middle of 1987 two standards are sent to the joint comparative tests. They participated in the tanks, "Osorio", "Challenger" and "Ambrams." But tank not intrigued prospective buyers or on tests, or after them. 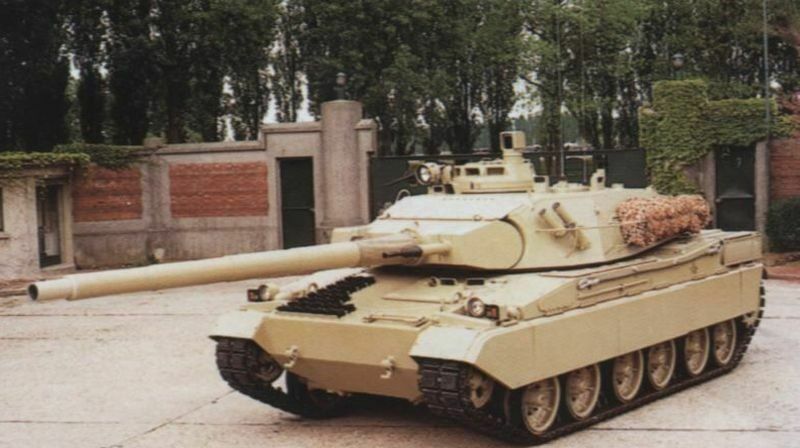 Orders for AMX-40 tanks have been reported, because in 1990 the project export tank AMX-40 shall be removed. The assembly of the tank — the traditional with the location of the control compartment of the tank at the front of the tank in the back of the tank taken by MTO. The fighting compartment was located in the center of the case. The driver was placed in the left side of the driver's compartment. Directly above it is made flap, which has three periscopes, one of them is made integral with the cover flap. Such as flap with third periscope received and loader. In the right part of the department laid ammunition and fuel tanks. Provide full tanks tank cruising range of 600 km. Further using 2 tanks suspended type, the range of the increase by 250 km. For the location of the driver-mechanic placed in the floor of the housing emergency hatch. In the front of the tank and the performance of its towers used a combination armor. Left on board tower made flap which is supplied ammunition and through which the removed cartridge cases. To the front of the armor plate attached dozer blade type. It is disassembled. Assemble and mount it can be quite fast and it makes one person from the team car. Tank was 120 mm smoothbore gun and paired with him 20 mm M693 cannon. The gun can conduct aimed fire at air targets and has some good guidance vertical angles — 40/-8 degrees. The turret commander received anti-aircraft machine gun-type 7.62 mm. Bok Tower equipped with six smoke grenade launchers implementation. Ammo 20 578 mm gun ammunition, machine gun 7.62 mm ammunition in 2170. 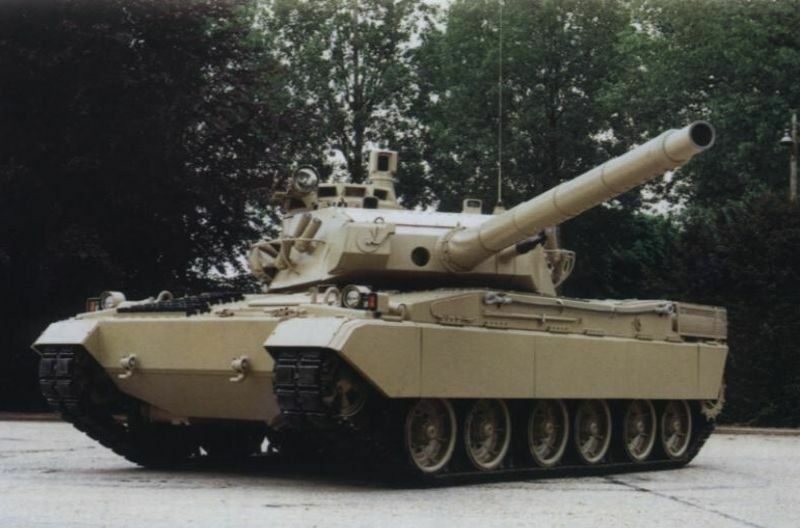 The export version equipped with a system to control the firing abilities «Conduite de Tir Automatique pour Char». Provided the M581 gunner sight and laser rangefinder type M550. Commander's cupola equipped with a gyro-stabilized panoramic sight for the radial M527 review and monitoring, verification and correction of target indications introduction of fire. On the main tower on the right secured a television camera. For making observations and production shooting in black on the right time on the tower, about guns secured a thermal imaging camera TVT "Castor". OMS tank allows it is likely to hit with the 1st shot motionless object located on the tank at a distance of 2 kilometers. In MTO machines used diesel engine type V12X and automatic «ZF». It is possible to change the set box «ZF» on the box «ESM500». Tank uses torsion bar suspension with 6 rinks reference type, rubber-coated on work surfaces and 4 supporting rollers type, drive wheel position at the rear, the guide wheel type, placed in the front of the chassis, on each side. The tank could overcome obstacles vertical placement of up to 100 cm, pits and ditches width up to 320 cm Without additional funding, the AMX-40 could overcome the water barrier depths of up to 130 cm, and the installation OPVT it could overcome aqua obstacle to 4 meters deep.